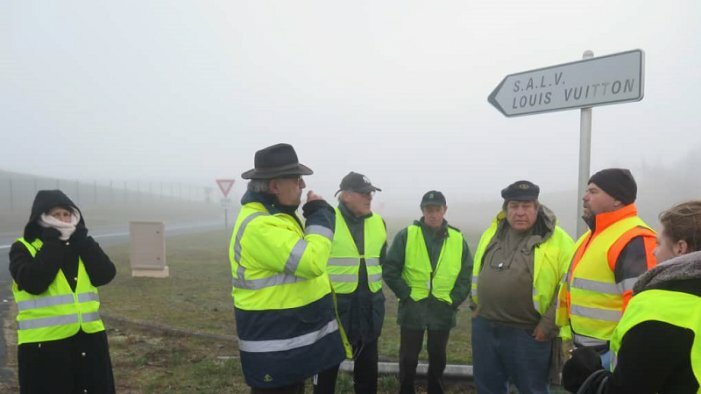 Earlier this week, yellow vests (#GilletsJaunes) blocked the entrance to three large factories and stores. The yellow vests in France call each of their actions an “act” (of a play); the first one was on November 17, and the fifth one has been called for this Saturday. However, the fact that their acts are held on Saturdays does not mean the yellow vests sit by doing nothing the rest of the week. Every day, France experiences waves of roadblocks and demonstrations all over the country. 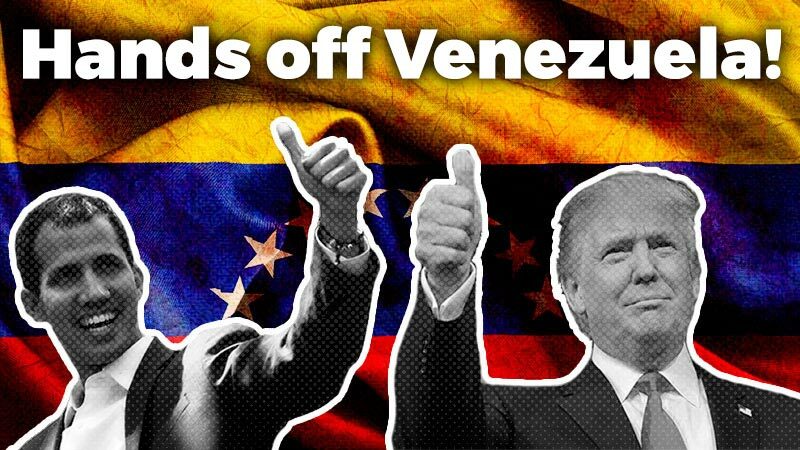 In the last few weeks the entrances of several factories and stores were blocked, and companies including Airbus, Amazon, and Louis Vuitton were targeted. In Toulouse, where demonstrations on weekends are at a crescendo, yellow vests, along with high school and university students, blocked Airbus’s logistics plant and later headed to the Amazon warehouse to stop the flow of delivery trucks. Warehouses located in the outskirts of the city were blocked by a couple hundred protestors, and the government immediately sent helicopters and riot police to repress them. At the door of the Airbus airplane factory, police gave demonstrators a 10-minute ultimatum to raise their block. This is how the government has been acting. With the minimal concessions it announced on Monday, the government has been unable to convince the protestors to stop mobilising. 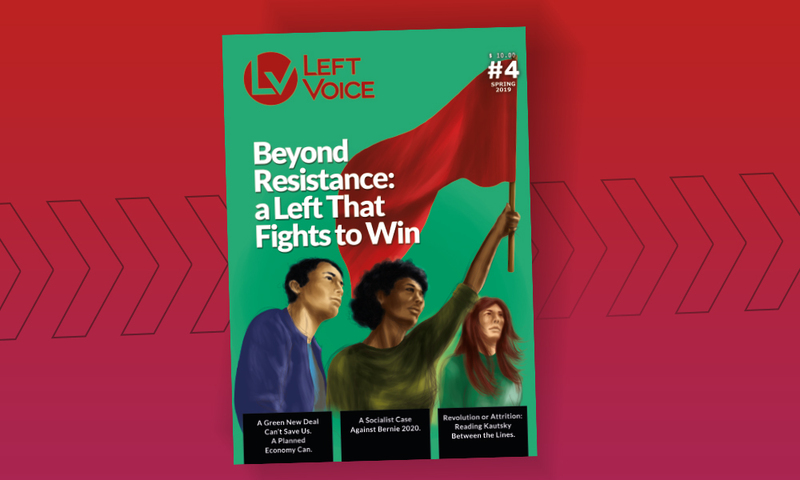 Given this inability to stop the movement, repression has increased, as last week’s operation demonstrated with a brutal display of 90,000 police from all over the country and armoured vehicles from the Gendarmerie in Paris. In opposition to the police’s ultimatum, the yellow vests held their blockade as long as they could and later cut all access to the Amazon warehouse. In both factories, protesters prevented the flow of delivery trucks in and out of the plant. 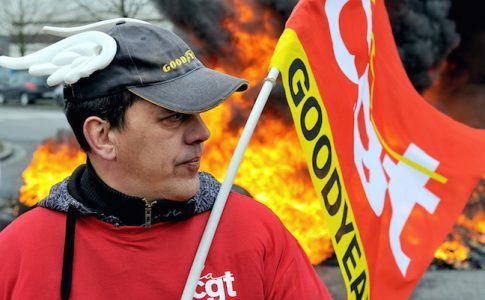 Protestors demanded an increase in the mínimum wage, but also taxing of the rich (in the case of Amazon, they demanded that the company pay its taxes in France). They also demanded the institutional democratization of a system they deem rotten, which would include a “Citizen Initiative Referendum” (RIC). This and other demands show that Macron’s announcement did not have the desired effect and that the movement still goes on. The yellow vests’ block of important factories is a critical force. 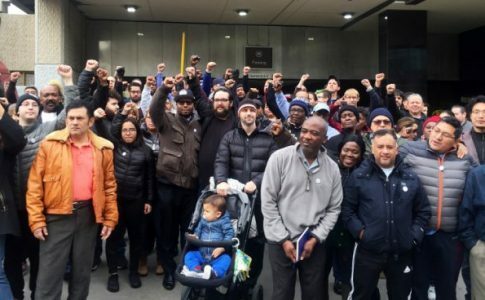 It is an action that could expand even further if road blockages on the outside, which stop the flow of merchandise and slow production down, collaborated with workers strikes on the inside. 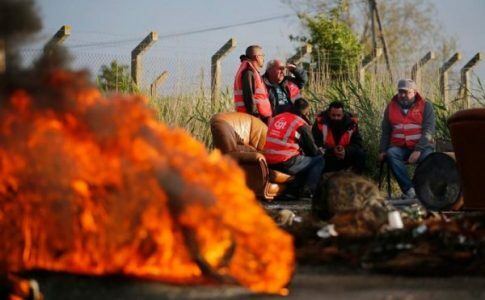 On Friday, several trade unions called for a day of strikes, which could produce the desired unity between the yellow vests and the orange vests (a sign of unionized workers). 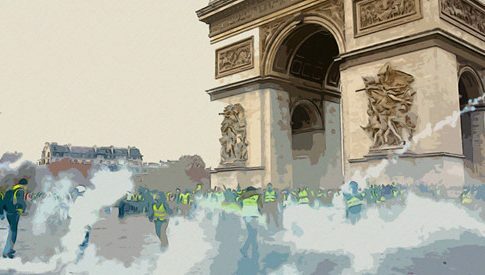 In spite of the role played by the union leadership, which attempt to maintain “social peace” with the government and prevent the workers from uniting with the yellow vests, it is possible that on Friday we will see a glimpse of this desired unity of vests and a preview of what is to come on Saturday for the fifth Yellow Vest Act.